Puerto Rico has withdrawn to participate in this year's Miss International pageant in Tokyo, Japan after two powerful hurricanes (Irma and Maria) smashed into the island last month. It was also reported previously that the country won't be able to send a delegate for Miss World 2017 competition in China because of the current situation. 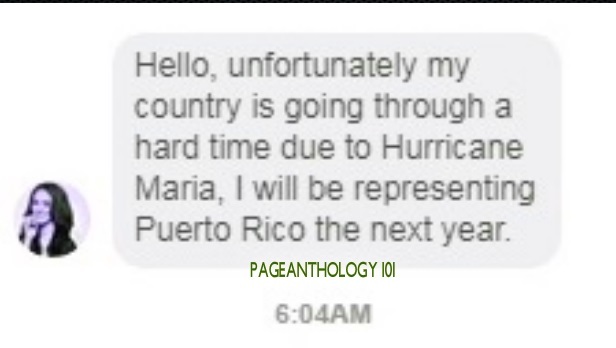 Hello, unfortunately, my country is going through a hard time due to Hurricane Maria, I will be representing Puerto Rico the next year. 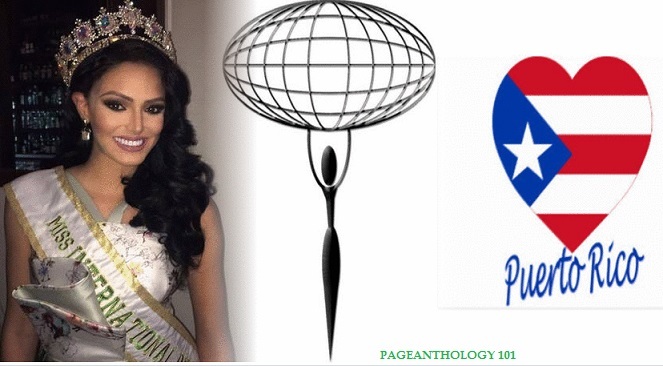 Since 1960, Puerto Rico has produced two winners (Laurie Simpson in 1987 and Valerie Hernandez in 2014), one 3rd runner-up and ten semi-finalists.